I am happy to share that The Dodo has just launched an app offering one of the first-ever animal news sites accessible from your pocket. You can now get the most important animal news at your fingertips -- even if your fingertips aren't near a computer. From our app (available on iOS and Android) you can read cutting-edge news by our team of journalists, watch footage of animals in their element, and most excitingly, you can become part of the conversation by creating community posts straight from the mobile post editor. From spreading the word about an abandoned dog in need of a forever home to joining the movement to support orcas, your voice counts, no matter where you are. We want to hear from you, whether you're videotaping a trotting deer at a park, volunteering at an animal shelter and snapping some photos, or lounging on your couch having your face licked off by a furry puppy. Thanks to our hard-working friends at RebelMouse, you can upload and share your experiences, publishing to your community page directly from your phone. This is one more step in our goal of providing an online community that results in real world conversations and actions. We're witnessing a global shift in mindsets. More people than ever are showing that they care about animals. It is this passion that is changing businesses, influencing politics and ultimately improving the welfare of animals around the world. 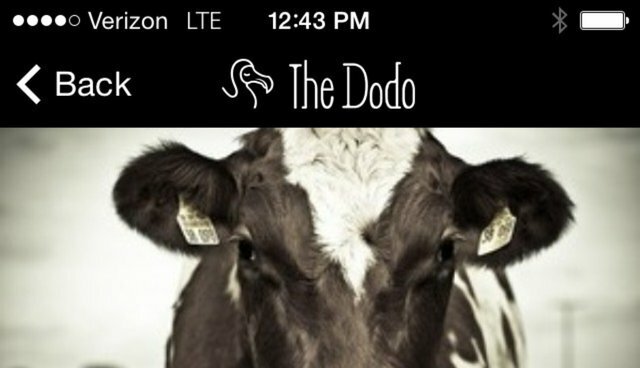 I welcome you to download The Dodo app, join the conversation, and make a difference.